2 Campsites in Clacton On Sea. Highfield Grange Touring Park - With Clacton-on-Seas golden beaches, the famous Victorian pier, amusements, shopping, and the many exciting attractions close by, you will be spoilt for choice for things to do. 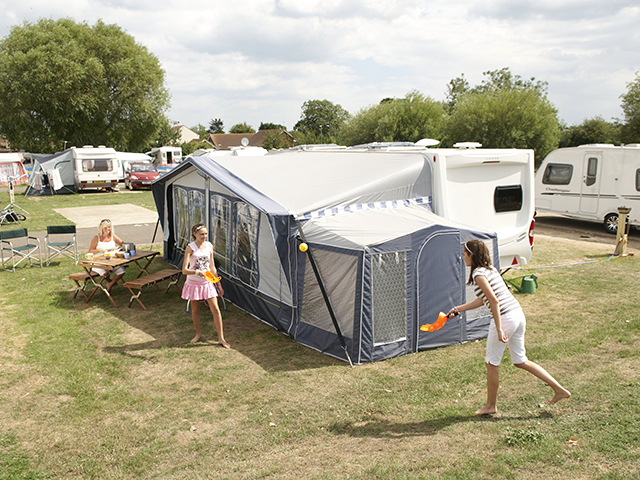 The Orchards Holiday Park - In contrast to the buzz of nearby Clacton, the Orchards setting is a haven of tranquillity. There's plenty of the usual Haven facilities here including a terrific outdoor pool and sun terrace by the Mash and Barrel Lounge-Bar-Cafe. Plus, there's also the option to enjoy fishing on one of the two fabulous fresh water lakes or a round or two of golf on the Park's very own course. If you are new to camping or need to buy new camping equipment for your camping holiday in Essex then buying your tent and camping equipment online is a great place to save money. If camping is not to your taste we have plenty of other types of holiday on offer. For self catering why not choose a holiday caravan or lodge in Essex or for that extra luxury a Essex cottage could be ideal. And if you prefer a hotel or guest house we have that covered too.